Based in California, Alexandra Kicenik Devarenne is an international olive oil consultant and educator focusing on olive oil sensory education, communication, and quality improvement. She is cofounder of Extra Virgin Alliance (EVA), an international non-profit trade association with members in fourteen countries that is dedicated to promoting quality authentic extra virgin olive oil. Starting with research and outreach at UC Cooperative Extension, she has written on many aspects of olive oil for both popular and scholarly publications, and is the author of the pocket reference book Olive Oil: A Field Guide. She is a member of the American Oil Chemists’ Society expert committee on olive oil, and cooperates with AOCS and others in the USA and abroad on olive oil research projects. An official taste panel member since 2003, she has taught olive oil tasting classes at numerous venues, including international conferences, Olive Oil Sommeliers of Japan, California State Fair, Culinary Institute of America, LA County Fair and UC Davis. 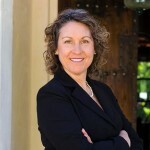 She serves as a judge and advisor for various California and international olive oil competitions and is chair of the Napa Valley Olive Oil Competition. Curtis CordMy guest today has been among the most enduring voices for change in the olive oil industry and a champion of quality and ethical producers throughout the world. Sonoma, California based consultant, expert taster, educator, and Extra Virgin Alliance co-founder, Alexandra Devarenne has been on the front lines of the olive oil quality movement to restore trust in the olive oil marketplace. She joins today from Sonoma. Good morning, Alexandra. Alexandra Devarenne Good morning, Curtis. Curtis Cord “Restore trust in the marketplace.” Now, that’s right off your Extra Virgin Alliance website. I was wondering when was there ever trust in the olive oil marketplace? Alexandra Devarenne That’s actually a really good question. Alexandra Devarenne It is possible that that would be better wording. I think that people have recently become more suspicious of olive oil than they have been in the past. This is probably just a function of greater knowledge about some of the shenanigans that have taken place in the background. We did say restore trust and now I’m going to have to go back to the drawing board and ask the question: Is create trust perhaps better wording? Curtis Cord We had an interesting talk with Tom Mueller a couple of weeks ago, who spoke on the olive oil industry’s dark side. Today, let’s talk a little bit about the consumer experience in all of this, if you don’t mind. You’ve dedicated a great deal of effort to consumer education and outreach over the years. It’s been five years since University of California at Davis report revealed that in a small sampling gathered from a few West Coast supermarkets that were labeled extra virgin, about two thirds were not as labeled. They were a lower grade. It showed that most of the time we go out to buy extra virgin olive oil, we get ripped off. Now, that study has its critics. Imported oils were clearly the intended target. After all, the project was financed by California producers. Other similar tests have since been conducted around the world and the results have been similar. The fact is it’s a lucky day if we can manage to buy a bottle of extra virgin olive oil that is what it says it is or, put another way, has what it’s supposed to have in the way of taste and health benefits. Is that how you see it? Alexandra Devarenne I think it is important to acknowledge that we have an industry with a lot of challenges. Clearly, the UC Davis report and the testing that has been done in Spain and Italy and other places points to what a challenge there is. Equally, I think it is critical for us not to lose sight of the value of extra virgin olive oil and, even in fact, the value of virgin olive oil. I worry and have ever since I got into this industry that too much focus on the dark side of what’s going on sends the wrong message to a consumer. In my opinion, you are still better off eating olive oil than other oils and I want to be careful that we don’t sully the entire industry with this cloud of suspicion. I do think that there has been some progress made. When I was teaching, say, eight years ago, organizing a seminar, I could reliably find absolutely hideous olive oil on supermarket shelves with high levels of fustiness and muddy sediment and other defects. They were really, really terrible. Most of them were actually lampante grade, I would have said. Now, I can find in the supermarket olive oils that are actually better than they were five years ago. I think that there is an upside to this attention paid to consumer protection, but we have to go a lot farther. Curtis Cord Is that just because you live in Northern California? Alexandra Devarenne I don’t think that that’s true because I have gotten samples sent from other parts of the country and in general, I would say there has been a slight rising of all boats with the tide. The most recent set of supermarket samples that I tasted actually did originate on the East Coast. They were mildly defective as opposed to really awful. I think that there is some sense out there that we are no longer the great American dumping ground for just any sort of utterly horrible oil that you have sitting in a tank. Curtis Cord That’s very good news. Alexandra Devarenne Yes. I would say I’m guardedly optimistic, as they say in the medical profession. Yeah, I do think that there is an incremental improvement out there compared to where we were five or eight years ago. Curtis Cord What is leading people to attribute some level of value to seeing extra virgin on the label or, in other words, what does the average shopper think she is buying when she chooses the most expensive olive oil on the shelf, the one that says it’s extra virgin? Alexandra Devarenne Well, actually there’s two aspects to that. One is she really choosing the most expensive bottle on the shelf or is she choosing the cheapest bottle that says extra virgin on it? I dare say that is a common scenario. That is something that concerns me because I think in a marketplace where there is no guarantee that an olive oil that says extra virgin is truly extra virgin, the practice of shopping by price is absolutely deadly because it rewards those who are putting a lower quality product in the bottle and calling it extra virgin. I think the consumer believes that extra virgin is the best, as they should. In the system of grading olive oils now, the extra virgin is the highest grade of virgin olive oil. That’s actually a pretty logical move on the part of the consumer. Curtis Cord Do they have any sense of what extra virgin means? Alexandra Devarenne Generally, no. Generally, the definition of extra virgin is something that consumers don’t know. This is not just true of American consumers. This is true of consumers around the world. They have some vague notion that extra virgin is the best. I would ask, for example, do you know what grade AA eggs are versus grade A eggs versus … You don’t see anything but A or AA in the market. Do we actually know, technically how an egg is graded? Curtis Cord I haven’t a clue. Alexandra Devarenne I do believe, and I’m sure people from the egg industry will nail me if I’m wrong here. I do believe it has to do with the amount of time the egg has been stored. A grade A egg is allowed to have been in storage for some period of time whereas a grade AA egg, theoretically, comes from the chicken, gets boxed up, and sent to the market straight away. Curtis Cord How do you put in the simplest terms to someone who doesn’t know what extra virgin means? Alexandra Devarenne I stress really the absence of any defects. I think that as far as a consumer is concerned, chemistry is irrelevant. What matters is how does it taste. I can say that an extra virgin olive oil, by definition, must have only the flavor of fresh olives, green or ripe, and that any flavor of rotten fruit, fermentation, rancidity, any of the other problems that you can run across in olive oils, if there’s any presence of any of that stuff, it’s not extra virgin. Curtis Cord If it’s not extra virgin, what is it going to be? Alexandra Devarenne Well, that depends. It could be virgin, which means that it has some slight defects of flavor and meets a slightly lower standard of chemistry. It might be lampante which means that it is markedly defective in flavor and has much lower chemical results. In that case, that oil is not considered fit for human consumption as it is and should be shipped off to a refinery where it is made into refined olive oil. Curtis Cord Let’s talk for a minute, if you would, please, on what should the extra virgin olive oil taste like? You’ve taught a lot of people how to taste olive oil and recognize the difference between good and bad. In fact, you wrote an article for Olive Oil Times on the topic that has been read more than 120 thousand times. In your experience, how long does it take the average person to learn enough to know when an oil is nice or not? Alexandra Devarenne The easiest way to do it is with a comparison. I think that if you take a flat, tired, slightly rancid, slightly fusty oil and put it next to a fresh, vibrant, truly extra virgin oil and have a person taste both of them, it’s pretty obvious. As soon as people actually have that opportunity to taste them side-by-side, they do understand. Now, that said, there is this challenge that in the world of taste, we are driven very much by familiarity. We like what we know. If you give a person a very vibrant, fresh, maybe bitter and pungent olive oil and then give them a tired, slightly fusty, slightly rancid supermarket oil and say, “Okay. Which one do you like better,” unfortunately, you have a very high probability that the person is going to say they like the defective oil. That’s because they are familiar with that flavor. To them, that’s olive oil. That’s what olive oil’s supposed to taste like. The Australian Olive Association, when they were doing an extensive outreach to consumers, pretty quickly learned this and came up with a new way of framing the question. It is how I choose to frame the question also now because I think it works. That is you give a person these two olive oils. Instead of asking which one they like better, ask them the question, “Which one tastes fresher?” If you do that, responses flip and all of a sudden, people realize, “Well, gosh. I guess this other one tastes fresher.” That begins the discussion. Then you’ve opened the door to, “Well, you know why?” You can really help a consumer to understand that this a really radically different product from the one that they are used to and that they even like. Curtis Cord I often taste in oil, even one that used to be nice but has sat around for a while, and I get this hard to describe sense of age, for lack of a better word. I’m sure you have a precise term for it. To me, it hits me that it simply doesn’t taste fresh. I don’t see green in my mind when I taste it. I see brown. After that, I don’t care what else I taste in there. It goes to the place I keep my barbecue tools to wipe the grates down before I grill. Alexandra Devarenne I think that your experience is that of anyone who has become a habitual consumer of good olive oil. You do very, very quickly become conscious of that flavor of it’s tired, it’s flat, it’s oxidized. It may not even be actually rancid yet. Rancid is an advanced state of oxidation, but it’s on its way. The term that we’ll often use when talking about such oils is that they have one foot in the grave. That’s an oil that’s at the end of its life. Curtis Cord Maybe it’s not as difficult as people think it is to learn how to tell if we get the extra virgin olive oil that we paid for. Alexandra Devarenne It is not that hard. It is not that hard for a consumer to learn to love good olive oil. I think that it’s a mistake for us to make it sound like it is so difficult and so mysterious. At the same time, it is difficult as a taster, if someone gives me an olive oil and I taste and there’s something that’s very, very subtlety wrong and I’m talking to the producer and trying to figure out how to help them make a better oil. To get to that level of detail that I can say, “Oh, I think your problem is that you’ve watered your trees too much or that your malaxation time was too long and so forth,” that level of tasting is difficult. That takes a lot of years of tasting and tasting and tasting. For a person to learn what fusty tastes like and to learn what rancid tastes like, that can happen pretty fast. They can begin to understand when there’s something wrong. The idea behind the EVA mark of quality and authenticity was that we wanted to give consumers a bit of a beacon in the marketplace, something that would tell them, “If you’re looking for extra virgin, here are extra virgin olive oils. Now, within that category, there’s all different styles, different varieties, all sorts of things, different origins. You now can choose.” You know that the hard work of making sure that this oil has been properly produced, properly bottled and so forth. We are doing everything we can to look after that part so that you now can just taste them and decide what you like. Curtis Cord Some of the time, when we buy extra virgin olive oil and we bring it home and we taste it, it’s not too bad, but it might not quite be extra virgin. In fact, it might be just virgin. What does that mean? Alexandra Devarenne Virgin is a lower grade of virgin olive oil. Now, that sounds kind of ridiculous, but unfortunately, that’s the nomenclature we’re stuck with in the olive oil world. Virgin, as a big category, speaks to any olive oil that is made mechanically, not under excessive temperatures. It is olive oil that is extracted directly from the olive. That’s a whole category of olive oil that’s called virgin. Within that category, we have grades. Those grades are virgin extra or extra virgin, virgin virgin, and virgin lampante. Those are the three grades of virgin olive oil. In the market, a lot of olive oil in the United States that currently is labeled extra virgin actually meets the virgin grade rather than the extra virgin grade. That means that there will be a presence of some slight flavor of fermentation, some slight oxidation, a little rancidity, some defect of flavor in that oil. It also can have different chemical parameters, but most of the time we find that these olive oils meet the chemical standard for extra virgin, which has been set to be very loose, but they do not meet the flavor profile. What I think is a very simple way to look at the categories is to think of extra virgin as your best olive oil and absolutely the one that you use for any application where it’s raw. If you’re going to use it on salads or in finishing, you’re going to use it with bread, anything where you’re going to really be able to taste the oil as it is. You need a true extra virgin. For cooking, virgin olive oil is actually a great product. I use it to fry things because as soon as you heat an olive oil, you’re volatilizing a lot of those vague defects that exist in the oil, which is why it was graded as virgin rather than extra virgin in the first place. Curtis Cord We don’t really see virgin on the shelves. Alexandra Devarenne No, we don’t. I would like to see that change. If we did have a category for virgin in the US market, I think it would be the best thing that could happen to our olive oil industry, meaning both imports and domestic. What we have got now is we have a situation where all the incentive lies with companies to mislabel a virgin product as extra virgin because there’s no place to go. If we can overnight, if you changed the labels on all the olive oils in the market to actually reflect the grade that was inside, we would realize that for years that we have had vigorous trade in virgin olive oil and people buy it. They like that it’s cheap. They are accustomed to the flavor. They mostly use it for cooking. It’s nothing intrinsically wrong with virgin olive oil. In fact, there’s a lot that is right about it. It’s a natural product. It’s got the polyphenols and other micro components, the minor components that are present in a natural olive oil. It’s actually a good product. It’s just that consumers should not be paying for extra virgin and receiving virgin. Curtis Cord Would producers be able to fetch a good price for virgin if they labeled it that way? Alexandra Devarenne I think that the olive oils that are currently labelled extra virgin, that are actually virgin, at the lower end of the price scale, those are the ones that are going to set the price for what is virgin olive oil since most of those are ending up being virgin anyway. What this will do is it will free the extra virgin part of the category from this dead weight of all this way too low priced olive oil that is masquerading as extra virgin. If we cut true extra virgins free of that weight, then that part of the market will actually rise in price, but that’s good because it should. Ask any producer of high quality extra virgin olive oil how much it costs them to make their product and you will get some pretty horrifyingly high numbers. It’s an expensive product to make properly. Now, the market is distorted by the presence of this what I sometimes call Ersatz extra virgin in the market, which is not really extra virgin at all. Curtis Cord I’ve heard you use the phrase “race to the bottom” to describe what’s going on in the olive oil industry. What do you mean by that? Alexandra Devarenne If there is a competition to try to produce the cheapest product you can that you can get away with putting an extra virgin label on it because of the poor regulation of the market, that’s what I would call the race to the bottom. Anytime you reward someone only for producing the cheapest product rather than being rewarded for producing a good product, I think that that’s a really dangerous situation. Curtis Cord At a recent workshop you helped organize in New York, the topic of discussion was the olive oil supply chain and how retailers and distributors need to take measures to assure olive oil quality and truth in labeling or they could find themselves exposed to liability claims. A case in point is last week’s announcement that a consumer group in Italy is preparing for a class action against several major olive oil companies under investigation for fraud. Is the fastest way to change going to be from the top down or from the grass roots? Alexandra Devarenne My instinct is that if the American consumer, this great sleeping giant, wakes up on this topic and demands truthful labeling and real regulation, that things would change very quickly. I don’t think any politician is going to ignore the voice of the people if there’s a true grassroots movement. I think that one of the issues that we face now with the political approach to try to reform things, this sort of top down approach, is that there are a lot of very powerful and very well-heeled interest that control things at the top. I would have to say that I’m not terribly optimistic about the speed that change can happen at that level, but at the same time, I don’t poo-poo it because I think that’s it’s very important that we simultaneously try to do what EVA is doing, which is reform in the marketplace and then at the same time, other people, other organizations are working to reform on a legislative level. I think that both tracks are important. EVA is an apolitical organization. Our emphasis is working with the marketplace. We do education with the supply chain. We do everything we can to empower consumers. We do not lobby. We do not do anything that’s involved in the attempting to push through new regulations on a legal level. Curtis Cord It looks like around 20 producers have signed on with EVA, the Extra Virgin Alliance, all familiar names to me. These are brands well known as award winners in New York and other places. What is the alliance’s strategy going forward, Alexandra? Alexandra Devarenne Our continuing strategy is to inform consumers about good quality extra virgin olive oil, to connect consumers and producers, that is producers of authentic quality products with the people who will use those products, and then also just to elevate and celebrate this fantastic food. Our work with the supply chain has been extremely important and that will continue. If you think about it, the supply chain, these people are the gatekeepers for most consumers. If a person in retail does not understand the value of good extra virgin olive oil and is not willing to stock it because they don’t appreciate its value, then the consumer who comes into that store doesn’t have that option. We feel it’s very important to help the supply chain get a handle on this product and also to learn how to take care of it, how to transport it, store it, display it so that then the consumer can have a wide range of choices of many different types of olive oil, including some that are first rate and high quality. Curtis Cord That’s a tough task. Did you ever wish you set up shop in the canola industry? I understand there’s a bright future in refined seed oils. Alexandra Devarenne Hey, butter is looking pretty good right now too. Curtis Cord I pondered starting Canola Oil Times but I found that there’s something about an unfolding tragedy that keeps readers fixated. Curtis Cord Last week, Paul Miller, your co-founder and the long time President of the Australian Olive Association, announced he will be stepping down as President of the AOA. Is he staying on with EVA? Alexandra Devarenne Yes, he is. Hopefully, there will be more time available for EVA projects now that he won’t be as busy with the day-to-day workings of the AOA. He is going to have a position as President Emeritus at the AOA and will still be doing international advising for them. He’s absolutely still critically involved and a big part of everything that EVA’s doing. Curtis Cord I understand that you published a handbook for olive oil. What’s that about? Alexandra Devarenne The book is called Olive Oil: A Field Guide. It’s a pocket-sized, very concise guide to olive oil, that was actually originally written as a take home for a seminar that we held in New York City. I realized that our educational events tend to be so dense in information, I thought what we really need is to give people something to take away that they can then look up stuff that was touched on in the seminar and they can go, “Ah, yeah. That’s right. I remember now what that test was measuring.” It was focused on the supply chain, originally. That was the audience for the book. It has found an audience also in consumers. Passionate consumers are really enjoying it. We have sold over 27 hundred copies and it’s still going strong. A lot of producers are putting it in their tasting rooms and they’re buying copies to give to their retailers, their suppliers. People who are involved in the trade are using it as a giveaway. People are also buying it so they can learn more about olive oil. Curtis Cord About olive tasting or grades or what? Alexandra Devarenne It’s all in there. It’s basically the soup to nuts book of olive oil. It talks about common myths and misconceptions, frequently asked questions. It talks about tasting. It talks about olive oil in food and cooking with olive oil, things like smoke points and has a couple of what I consider most fundamental recipes in it. It has how olive oil is made. There’s a section on chemistry where I’ve really boiled what all of these different tests are measuring and what’s relevant for a person who’s in the world of olive oil to understand. It also has a compilation of varieties at the back of the book. I’ve listed some of the world’s most popular varieties with little notes about their flavors, where they come from, just a few lines about each one. Everything is very short. It’s really designed to be concise and easy to refer to, but accurate. To me, education is really worthless unless you make every effort to be accurate and authoritative in your information. Alexandra Devarenne Yes, it’s small. Then price is less than $10. We kept it cheap so that there would be no hesitation to pick up a copy when someone’s buying, for example, a gift of beautiful olive oil for someone to include the book as an add-on. Curtis Cord I was going to say, that’s perfect. Just tie it around the bottle of olive oil and it’s a nice educational enhancement to a good bottle of olive oil. Where can people buy the book? Alexandra Devarenne The book is available on Amazon and on the EVA website, ExtraVirginAlliance.org. If you are a retailer or someone who wants to buy the book in volume, there’s a link that will take you to the publisher’s website and you can order by the case. Curtis Cord Very good. Alexandra Devarenne is a consultant, educator, and co-founder of the nonprofit Extra Virgin Alliance. Thank you, Alexandra. Alexandra Devarenne Thank you, Curtis.